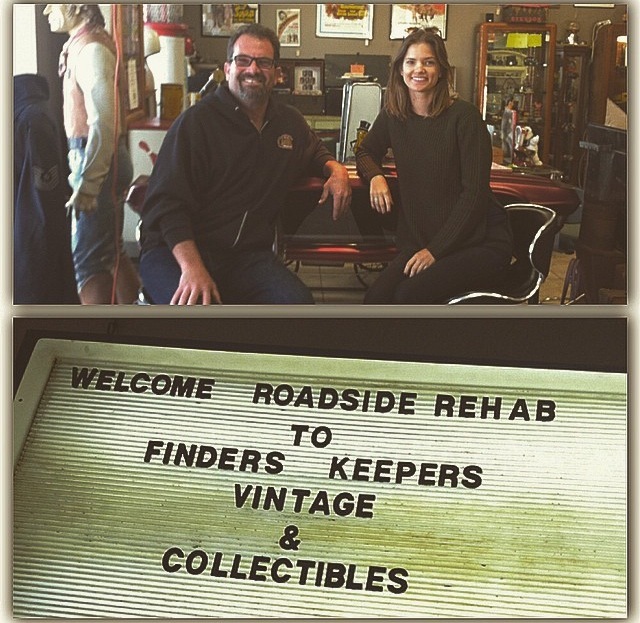 Interviewing Scott at Finders Keepers! 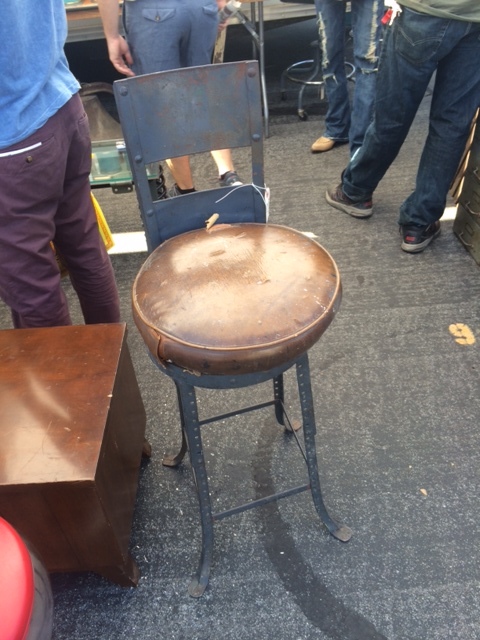 A little over a month ago, I met Scott from Finders Keepers Vintage at the Rose Bowl Flea Market. I was at his booth, utterly impressed with all of the genuinely cool stuff he was selling. I ended up buying a chair from him, and we got to talking. He told me he found everything by picking. Yes, like American Pickers picking. I was intrigued. A picker? Based in California? I knew he had to be the next influencer interview! The chair that started it all! Scott picked it from a farm in SoCal. Luckily, he was happy to sit down with me. 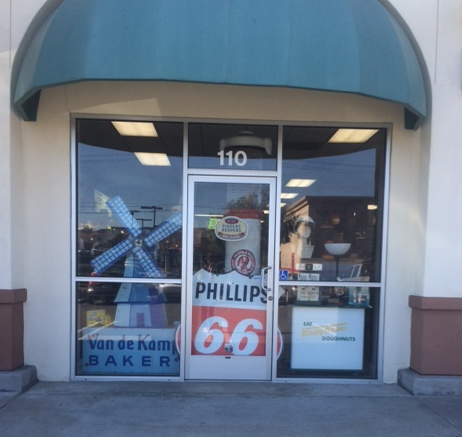 Once Spring Break hit, I visited his store in Murietta, CA. It was awesome! Like the Rose Bowl on steroids. 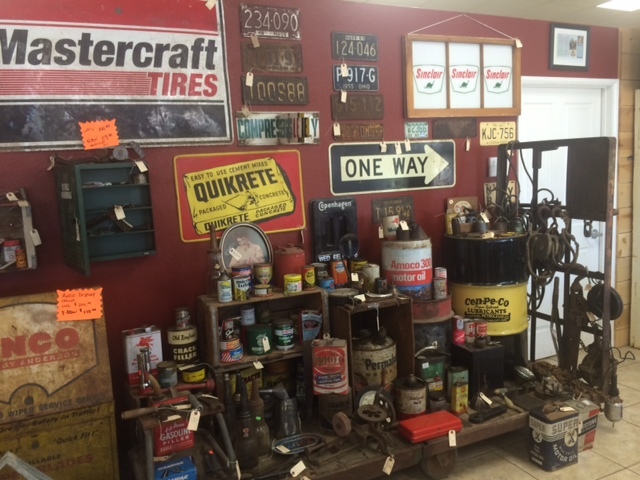 There were signs, tins, little finds, big finds, manniquens, an amazing arcade bowling game… pretty much anything you could imagine finding on a pick. The window is just a preview of the treasures you’re gonna find in the shop! RR: How did you get started buying? Scott: My grandparents were big flea market and swap meet people and I would always be the tag along. And, of course, when you’re young, 4 and 5 years old, you’re always asking for money because you find something. So they’d give me five bucks and I’d go out and look around and have a blast. My whole life, it has always been flea markets and swap meets, you name it…. I love trying to find that hidden treasure. It may be hidden away for years and you find it and bring it back to life. RR: How did you get started selling? Scott: In 2012, I was transitioning jobs and my wife encouraged me to follow my passion and look into opening the store. RR: Do you really only find things picking? Scott: We aquire all of our stuff through picking. I don’t do estate sales, I don’t do garage sales (you have to go to 50 garage sales to find a couple of cool items, estate sales, at least out here, they charge more than I do in my store.) I put ads out, people call me, now that I have the store, people come in here every day trying to sell me items. I’ve been as far as the Midwest picking. I’ve been to Iowa. You walk into a barn, and it is just full of rustic items and just oozes America and it’s really cool. Sometimes it just gives you goose bumps when you walk in… you just think you walked into the holy grail of picking. Just by this wall, you can tell Scott has been picking in some really cool places! RR: How do you approach people to pick? Do you call ahead? 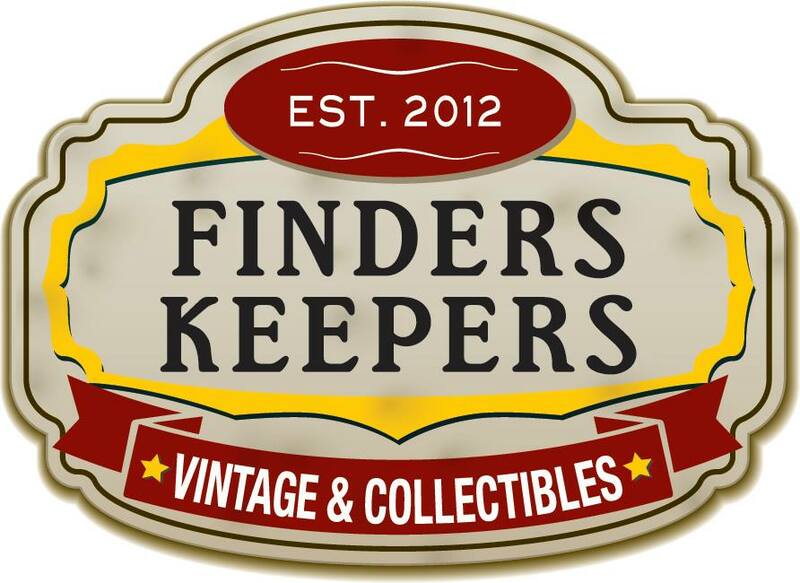 Do you ever knock on doors like the show American Pickers? Scott: I’ve been picking as far as Iowa. There’s very little door knocking. I don’t like to invade people’s privacy. Generally, I’ll have something set up already. I’ll do ads or we call to set it up. When we went to Iowa, we only had one pick set up. Through word of mouth, we ended up scheduling so many picks that we had to cancel our trip to see the American Pickers store. I had to remember that we were there for business first! One day I’ll go back and go to the store. 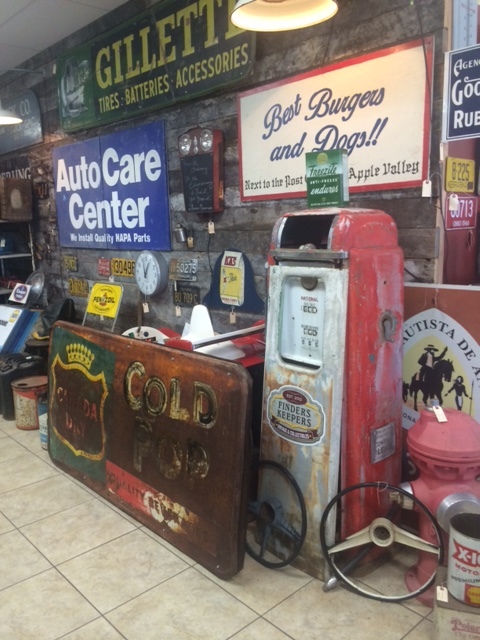 RR: How do you decide which items are in the store and what you take to the flea market? Scott: I kind of cross everything over. I try to take eye catchers from the store. In addition to the store, I have a 3,000 square foot barn filled with stuff. The goal is to stand out at events. I bring some things from the barn, but I also bring things from the store. I got these from Finders Keepers at the Rose Bowl. RR: Do you have any tips for negotiating? 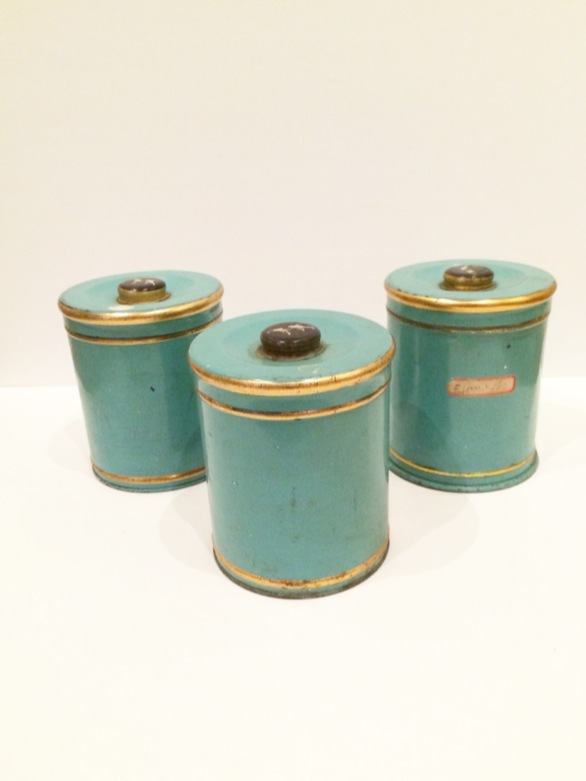 Scott: My goal is to find the right home for items. I’d rather someone take an item and appreciate it and enjoy it than just throw it in their garage. I don’t change the price whether the item is in the store or at the flea market and I’m always willing to negotiate. If I can tell that someone really loves something but they are feeling shy about negotiating (especially in the store), I may tell them to make me an offer or offer them a lower price to at least get the ball rolling. If you really love something, just ask. RR: How do you clean up items? Scott: It’s funny you ask. At first I would wipe everything down, but then people would say, “no, no, no, I want it how you found it!” Now, if an item is really needing some attention, we’ll wipe down the outside but leave dust and the dirt and the cobwebs inside so people can see where it came from. RR: What is your dream find? Scott: A split window VW bus would be my dream buy. 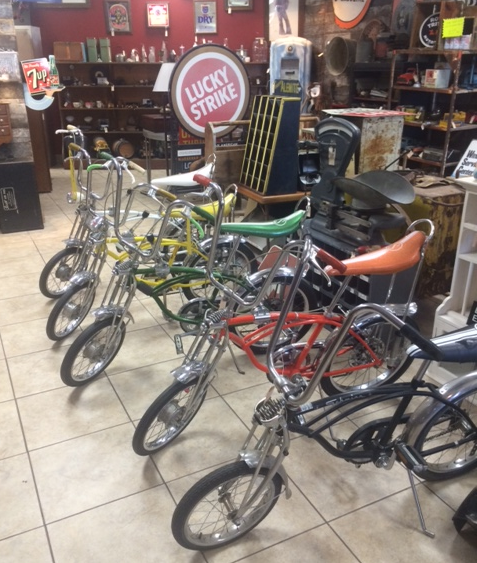 I think my dream buy changed when I saw these awesome bikes! 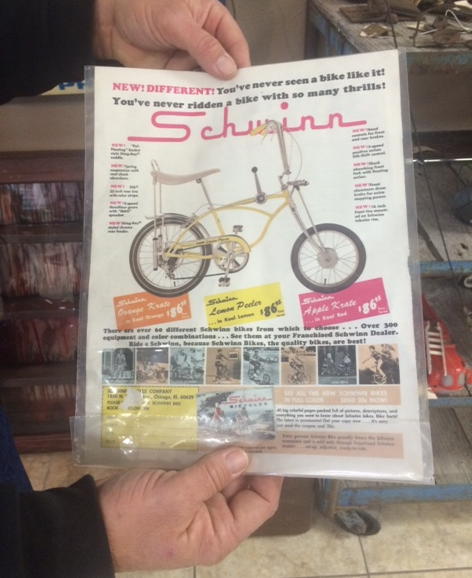 Let’s talk about the original ad with the matching bike… now that is awesome! RR: What’s your favorite find to date? Scott: Any time I see Disney, I try to buy it. To me, Disney is America. Disney represents that creativity, that drive, passion, and vision. I love finding porcelain gas station items, advertising signs, and vintage toys because those are the things I am passionate about and collect myself. 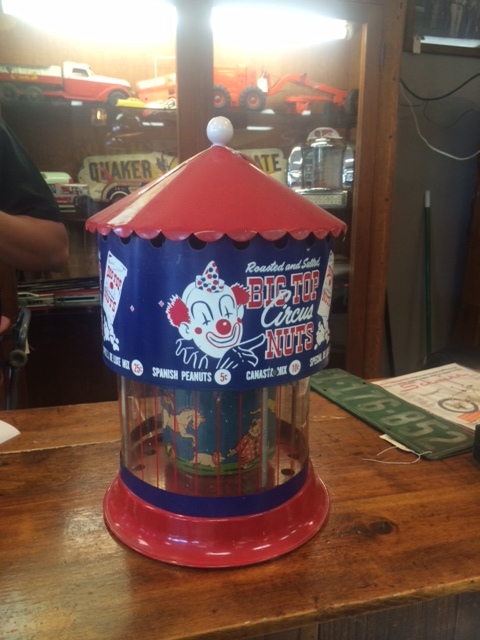 This Circus Nut Warmer is one of Scott’s favorite items in the store. Scott: I can’t tell you how many items that I’ve wanted or had my eye on. A 12 foot A&W neon that said “All American Foods” and, you know, timing is everything. I went to look at it, and I loved it and didn’t have my trailer with me. Then I got too busy to call the guy, and when I called him the next week, it was long gone. Scott: I bought this vintage bear trap. My emotions got the best of me and I ended up paying $1000 for it, and it sold for about $750. RR: Where all can we find you? Scott: We started permanent residences at the Rose Bowl and Long Beach Flea Markets and will be there every month. We’re aiming to pick up at least one other event each month so we’ll be doing three flea markets a month. 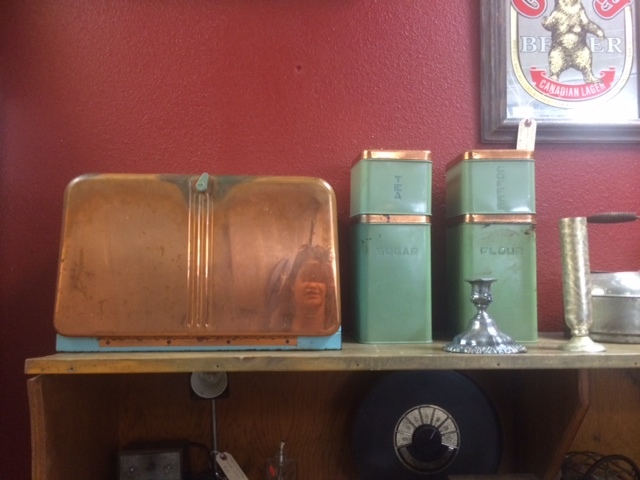 This month is Junk Bonanza in San Diego on March 20, 21, 22. We are on Facebook and Ebay. Also, we are starting to rent out items for weddings and events. 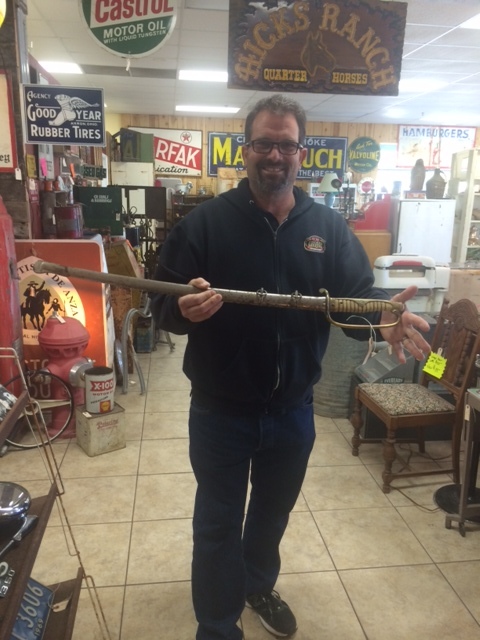 With a Japanese sword from WWII. I had so much fun talking to Scott! He finds such cool stuff and I love that his finds are a piece of Americana. He loves it, and he wants other people to love it, too. He’s so clearly passionate about what he does, and that shines through in the quality of his merchandise. Definitely go and see him at the flea markets or check out his shop at 25285 Madison Ave #111 Murrieta, Ca 92562.